Ambleside looks like a chocolate-box Lake District town at Christmas – adorned with twinkling lights, bursting with good restaurants and full to the brim with present inspiration, with its mix of outdoor and independent shops. The fact that it rained for the majority of the week we were there, added to the cosiness – the dramatic fells surrounding the town awashed in darkness. 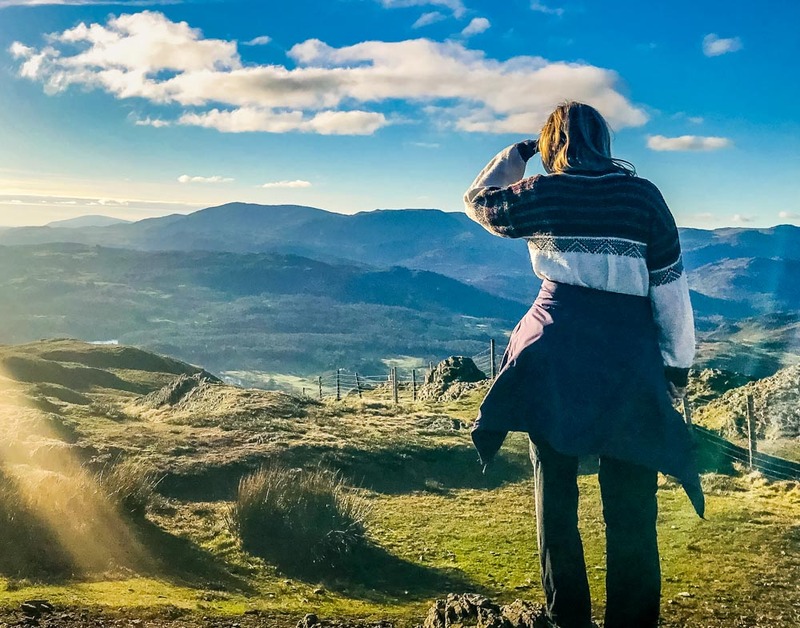 On sunnier days, you can walk from Ambleside to Grasmere (around Rydal Water) and up Wansfell via Troutbeck – both lovely walks, without the need for a car. And of course, the whole of The Lakes and its stunning fells are only ever a short journey away. 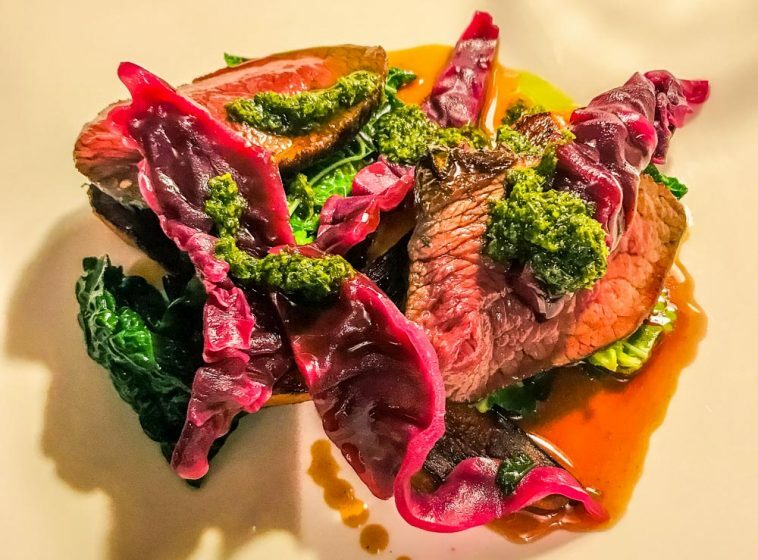 On rainier days, you can eat… Here’s our selection of the best (although note, we did not dine at The Samling, which is on our Michelin-starred hit-list). 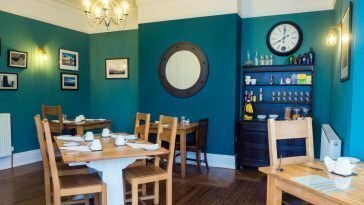 Crackling fires and a lovely rustic, cosy vibe awaits at The Drunken Duck – a famed gastro pub a short drive from Ambleside town centre. We managed to get a same-day table (we put this down to luck, and it being a Monday at the cold-end of November) but we’ve heard you should definitely book. The service was the highlight – our waiter definitely wanted us to have a good night and was incredibly friendly and helpful, offering us beer samples to get the perfect pint. 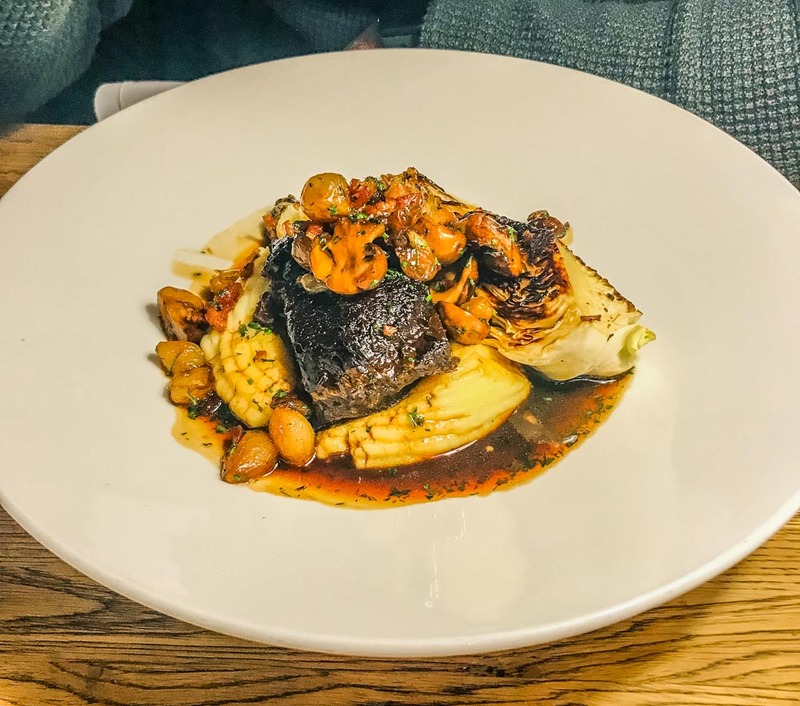 The food was warming, delicious and indulgent – just what you want in a gastro pub, although a little over-seasoned. I had the gruyere soufflé with onion soubise and toasted almonds to start – it was to-die-for fluffy and cheesy, with just the right amount of chewiness on the outside. A hugely comforting dish. For my main, perfectly pink venison haunch came adorned with braised carrot and pickled cabbage and a side of cottage pie. Although a little salty, the cottage pie was the star – each mouthful rich and decadent. 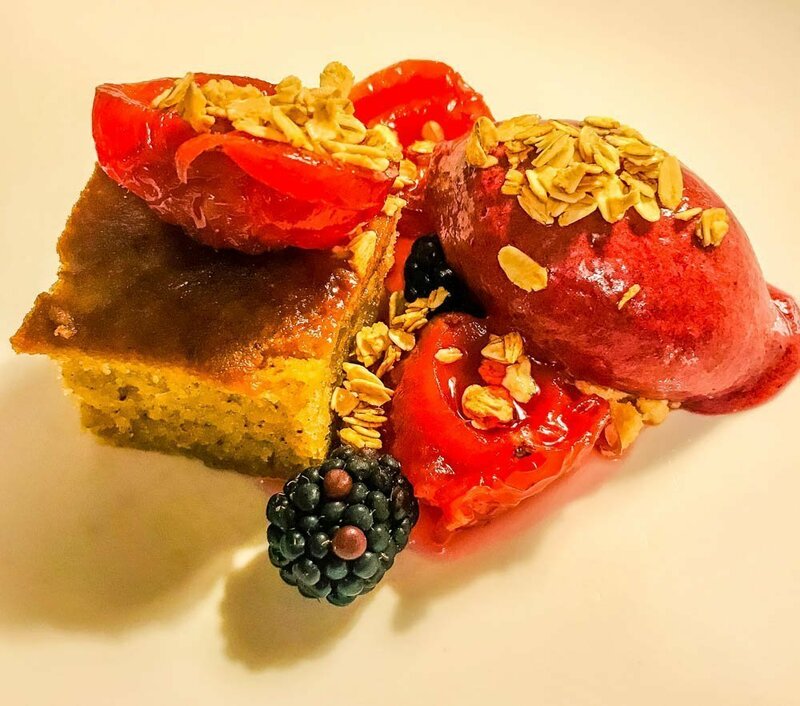 Dessert was my favourite course – moist, moreish chestnut cake accompanied with plums, damson sorbet and fresh blackberries. The sorbet was juicy and smooth and my only gripe about the cake was that I wish there had been more of it. At £100 for two (including tip), it’s definitely one we’d recommend. The Copper Pot is the perfect place for a lunchtime treat – to shelter from the rain or replenish after a walk. Black and white, silent Laurel and Hardy films play on the wall, board games and candy-canes line the windows and the portions are generous. 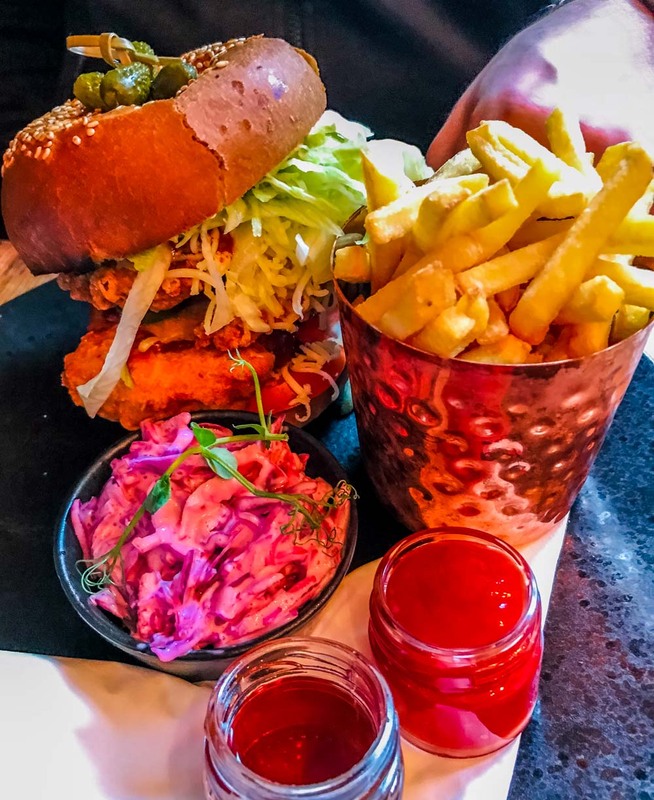 Marc had a crispy chicken burger with cheddar, jalapenos, skinny fries and coleslaw and I had beef chili with avocado, crumbled feta and yoghurt. 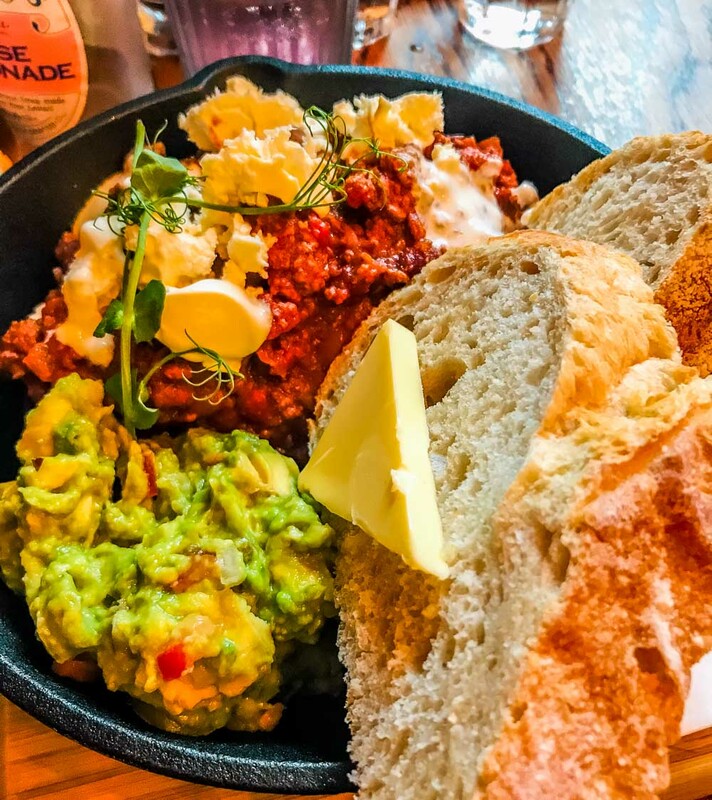 The chili was deeply flavoured and had a satisfying kick, offset (for my fairly pathetic tastebuds) brilliantly with the tang of feta and the creaminess of the avocado. The multi-layered cakes look incredible though I don’t know how you could fit them in – I can vouch for the hot chocolate though – cream and marshmallows and all. My only tip would be to bring cash – they don’t take card, although there is a cash point just up the road if you forget. We spent £27 for two, so a reasonable lunch. 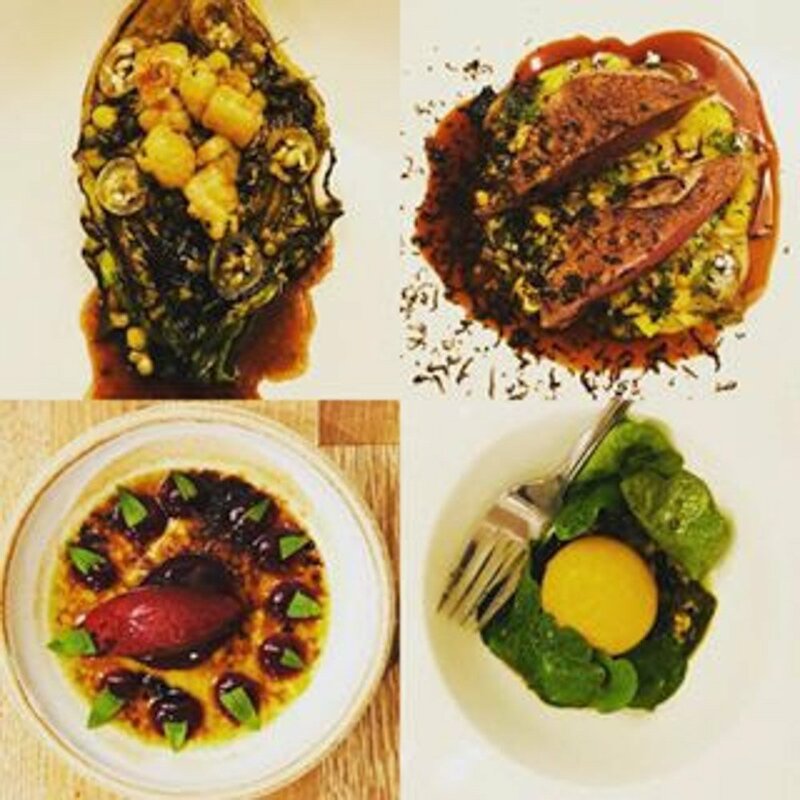 One of the best meals I’ve ever eaten – second only to Tom Kerridge’s The Hand and Flowers – Lake Road Kitchen is definitely a must-visit and a must-book-in-advance. With only nine tables in the restaurant, you feel really looked after with impeccable service, knowledgeable staff and simply unique, beautiful food. 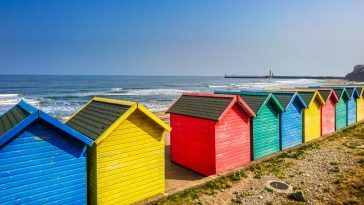 Featured in the 100 Best Places to Eat in the UK, the food style is described as ‘hyper-seasonal cold climate cooking’. I’m not entirely sure what this means, but it is distinctly Nordic in feel, with Japanese inspiration coming through, gloriously local produce and a variety of dishes that mean each course was a delightful surprise. The menu changes almost daily, but we enjoyed an eight-course extravaganza (plus bread) including: sourdough with aged butter (washed in aquavit and aged for nine months – SO LIGHT! 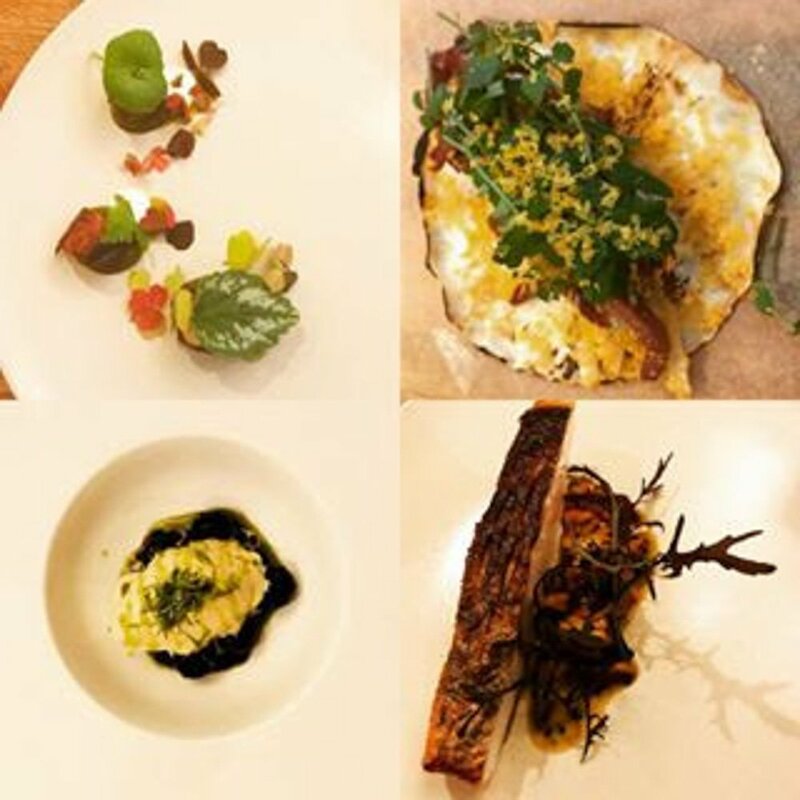 ); celeriac taco with ox tongue; 40-hour cooked octopus with wild garlic; kelp and bacon stew with slow cooked duck egg; stone bass and girolles; lettuce with bone marrow and gooseberries (my favourite course! ), squab pigeon; miso ice cream with blueberries and lemon verbena crème brulee with blackcurrant sorbet. My mouth is watering just thinking about it. 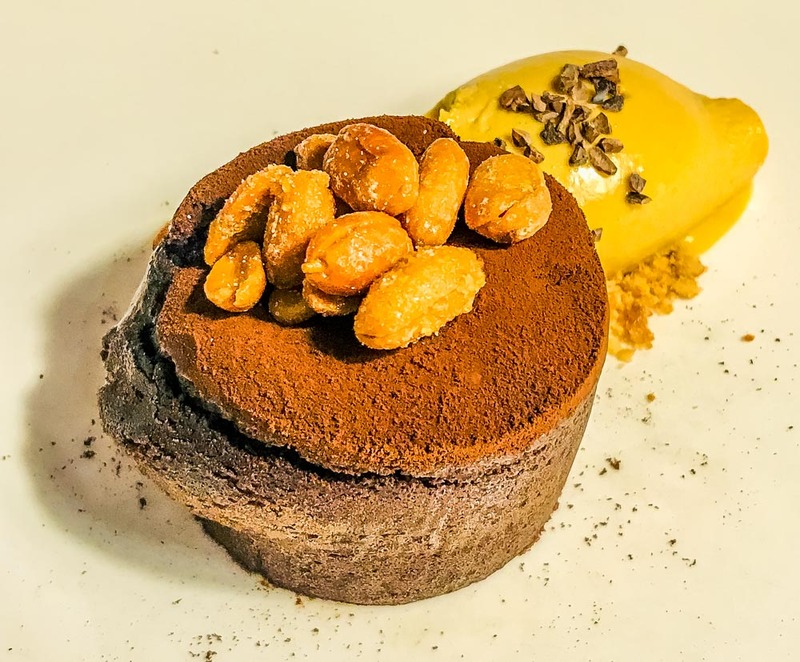 At £90 per person for the eight-course option (plus bread), it’s not cheap, but it is worth it. When in Rome… No really, when in Grasmere (the village along from Ambleside), it would be rude not to try the famous Grasmere gingerbread, baked using a secret recipe that’s been passed down through generations. 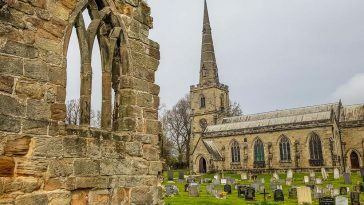 And it lives up to its history – chewy, gingery, sweet slabs are served by staff in Victorian dress in a small shop just by St Oswald’s church – home to the grave of William Wordsworth. Doi Intanon is a superb Thai restaurant – serving warm hospitality, fragrant Thai dishes and a relaxed dining atmosphere. Gai Hor Bai Toey – marinated chicken wrapped in Pandan leaf and served with a soy and sesame sauce – is a wonderful starter; the chicken is really tender and juicy and the dipping sauce a slightly-sweet tangy accompaniment. Gai Himmaparn (chicken and cashew nut stir fry) and massaman curry are my pick of the mains – not massively adventurous from a spice-perspective, but so tasty. The coconut rice on the side is the stuff of dreams. I could quite literally just go back for the rice alone. Enjoy and let me know your favourites!